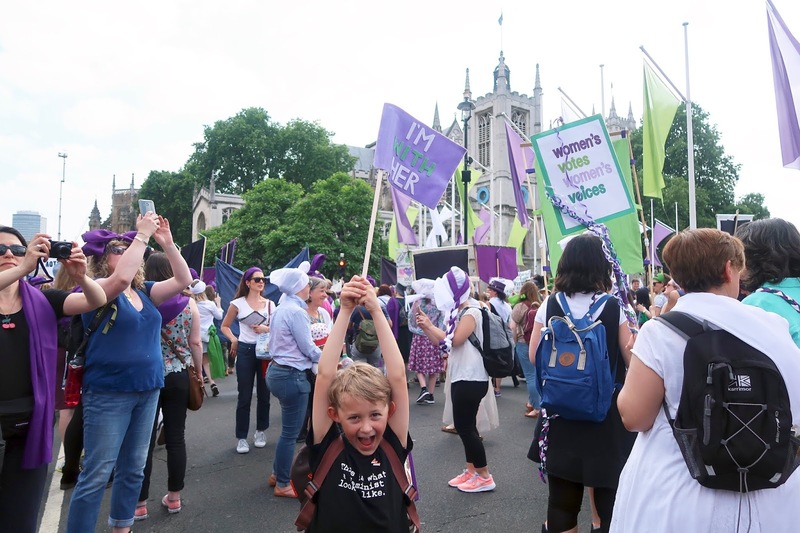 As soon as the email for the Processions march dropped into my inbox, I knew that I needed to be there. I also knew that I wanted to take Max with me to show him how fantastic a march could be. So on Sunday 10th June along with 50,000 other people, we took to the streets of London for a march that we would never forget. We were marching with my babes and faves over at Young Women's Trust. 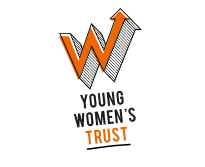 I go on about them a lot because not only have they helped me achieve the amazing life I am living now, but they also do brilliant things for young women all around England and Wales including a free coaching service, free CV feedback and even letting people like me join the advisory panel and help make a change. We are a diverse bunch, all with different histories, but all wanting the same for the future of young women. Max has been fortunate to come to some of the advisory panel residential weekends with me, and whilst he's still pretty young and doesn't understand fully what I do with the charity, it's amazing to see him embracing everything. He spent the day before designing his flag and left me to make it whilst he went to sleep. 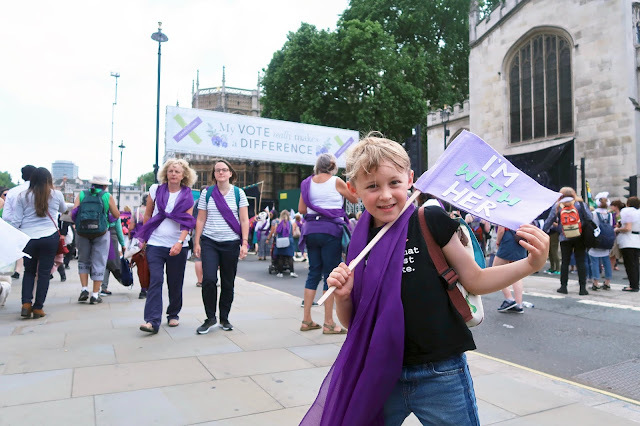 He's well aware of the Suffragettes, women's rights and the problems we still face today, so he was super excited to get stuck in for a fantastic day. 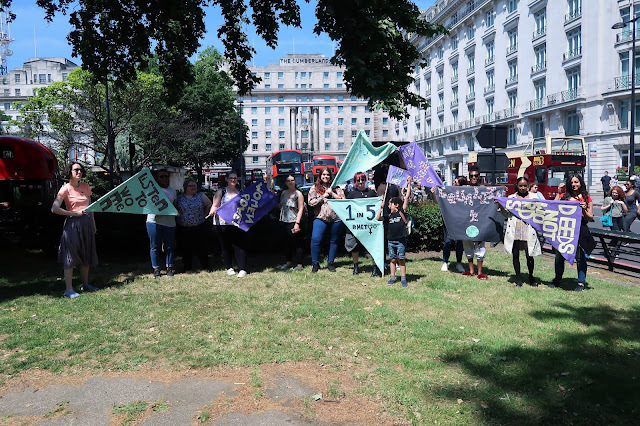 After a catch up and some lunch, Max and the rest of us YWT ladies took to the streets with our banners to join the march. Picking up scarves along the way. 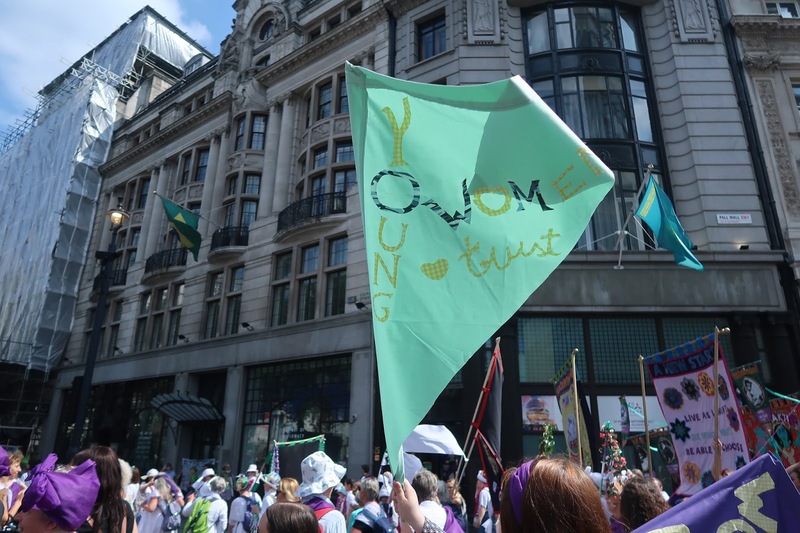 The idea of the scarves were to create an aerial view of the suffragette flag from the sky in purple, white and green. I've seen pictures and I'm amazed at how utterly breathtaking it looks. From the ground however, we were a sea of colour and banners. With something new to see at each turn. Max had his Fawcett Society top on and the amount of remarks I got from parents and people that wanted to tell me well done for raising a great child was slightly overwhelming. I'm not trying to show off that I've done a fab job bringing up a self proclaimed feminist, in fact some days I don't even think I do a great job parenting. 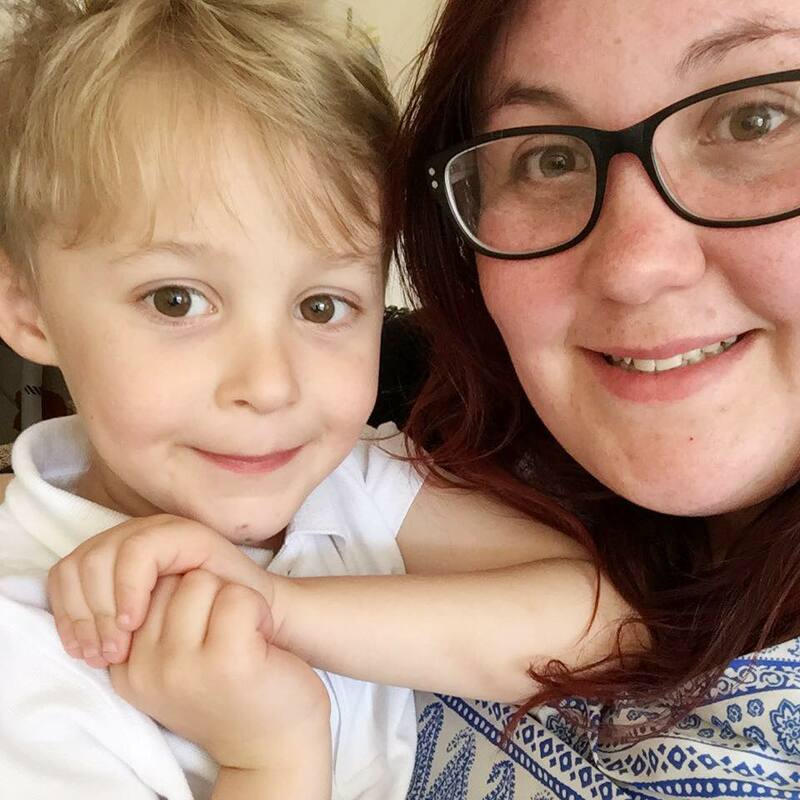 I just want to show him what true equality means, that he can grow up to love and respect women, to treat them as equals. It's hard too describe the feeling you get when you march with 50,000 other people for the same reason. It's a mixture between an overwhelming sense of pride and determination. Of camaraderie and solidarity. Being surrounded by like minded people on such a big scale was just fantastic. It's one of those moments that you won't forget in a hurry. Because we were part of history. We helped make a stand, show the country that things still need to be done for all women, and we made our voices heard. I was blown away by the banners on display, with fantastic slogans, messages that stuck with me and creativity that I've not seen anywhere else. 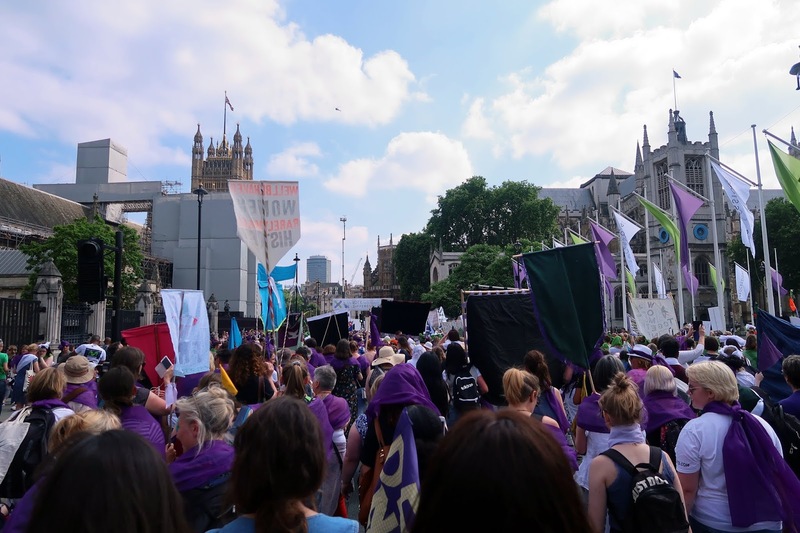 It was awe inspiring and frankly beautiful to see so many creations in the march. Whilst ours was only something small, it was nice to know that Max had something to wave alongside everything else that he put his own ideas into. When I sat with Max on the train home I asked him what he thought of the march. He was fantastic throughout the whole day, and whilst the heat got to him a couple of times, I couldn't complain as he was so brilliant and well behaved. Max told me he was proud. Proud that he joined up with so many people to show how much he cares about something. Proud that he got to do something that he won't ever forget and proud that he was part of history. In 5,10,15 years time I hope he remembers this day the same way that I will. I hope he realises that he did something brilliant by marching with us at Processions and I couldn't be prouder.